Then I started tutoring to see if that would develop into a business. Although I felt I was doing something good, I decided I didn’t want to develop it into something full-time. Now it feels like I am coming into another transition. I have been restless for quite a while. It’s just that the unknown makes me feel uneasy. Getting ready to let go of what I have been, and step into…..wherever my path may lead me next. Need to be willing to let it unfold by itself. But the cacti are still flowering in my yard and I may soon be rolling in clover. 🙂 That’s my ever optimistic voice talking. This entry was posted in Blogging, Blogging Community, My Life and tagged #Work, Life Journey, Stream of Consciousness Saturday, Transitions on March 17, 2017 by Deborah Drucker. I wish you good luck in figuring out the next chapter of your story, Deborah. Thanks so much for the video, because I was starting to hum and sing that song. Yeah, yeah, oh yeah ! Thank you, Dan. That song is pretty good. It was in The Great Lebowski too but I did not want to use a video of half naked women. You would probably say why not? If you needed it to make a point, it would be ok, but I generally just listen to the songs in the background. Our lives are literally always in transition. All the best. 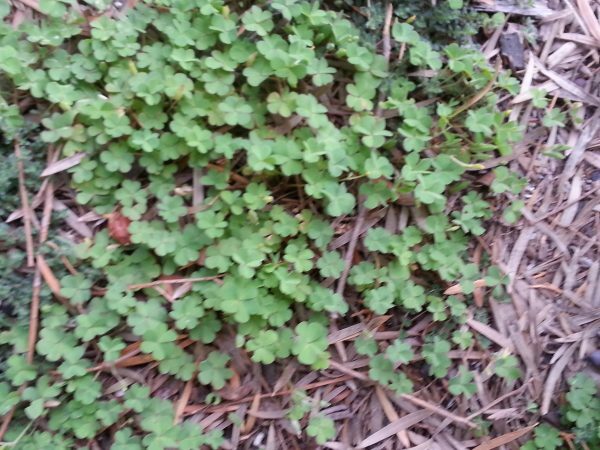 Are any of them 4 leaf clovers? How appropriate to talk about clover at the time of St. Patrick’s Day. Hope the transitions which are constant in our lives goes smoothly. There’s an amazing transition to Grandma (Meme) too. Hope Gavin is home soon. I know some people like those scary amusement park rides. I’m not one of them, so I can relate to the uneasiness. I read somewhere that when nothing is certain, anything is possible, but one thing I do know for certain is that you have a lot of experience and wisdom that will help you as this journey unfolds. I hope it will be full of wonder. Just keep following the next right move. You can make as many moves as you need to make in order to get where you’re supposed to be. I’m pretty sure once you get there, it will feel right and you’ll know it. Yes, even when we are pushed into them. But I think I am really ready to move on. At least I am going to move on into my backyard garden and sort through stuff in my house. 🙂 Thanks, Joey.